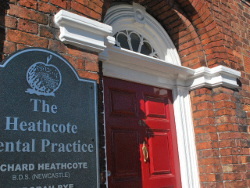 The Heathcote dental practice was opened in 1960 by Martin Heathcote. From the start he focused the practice on caring for patients as individuals who might come to the practice with very different past experiences and expectations. He aimed to give them the best treatment he could provide often provided within the National Health Service. The practice still operates with the same central ethos of putting the patient first 55 years later. 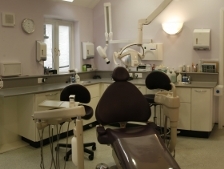 The practice has however changed greatly in other ways as dentistry has moved forward. Now run by Richard, Martin’s son, we research the latest techniques to make our patients’ treatment better still. We operate a policy of rolling improvement to keep the practice welcoming to patients and at the leading edge of current dental standards. We remain committed to giving the best dental care to each of our patients and making sure their visit to the practice is as comfortable as possible. We always welcome any comments both positive and negative. If any aspect of your care does not live up to these standards please bring it to the attention Richard Heathcote or any of the staff. All dentists and dental care professionals are regulated by the General Dental Council (www.gdc-uk.org) who run the Dental Complaints service for Private patients. © 2019 The Heathcote Dental Practice. This page was last updated on Thursday 24th May 2018.